Questions about Elan Lighting 83001? 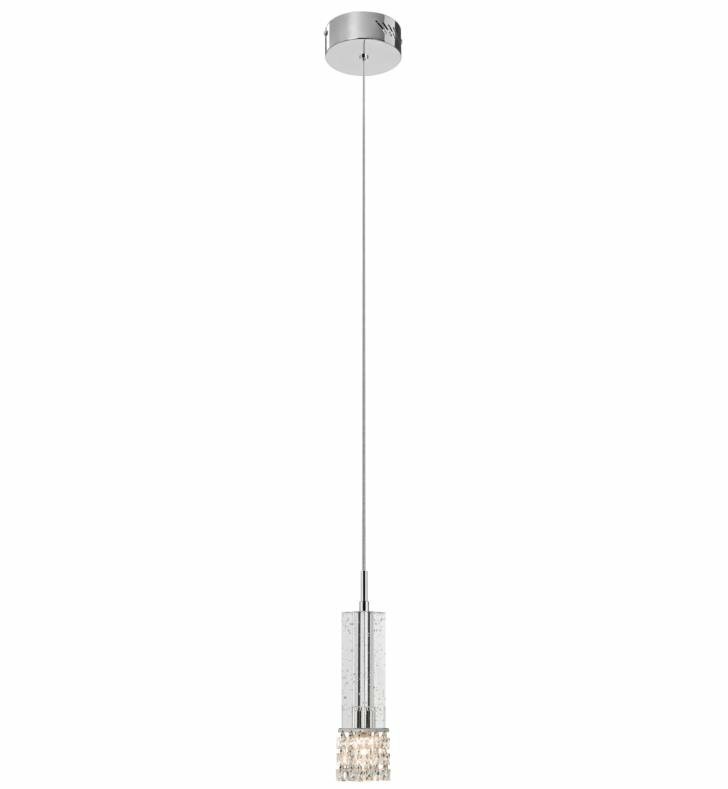 The Adega Pendant features a Chrome finish with K9 Bubble Crystal and Clear Crystal Beads. The rectangular shade is capped with a chrome plate, which holds twelve strands of optic crystal beads that obscure the halogen light source. W 1 3/4" x D 1 3/4" x H 9 1/4"